Here are reasons, you should vote for "Patt Eyaba"
Patt Eyaba is a young broadcaster and philanthropist who is charged to help young people achieve their dreams through her programs Classic Plus and Raw Impact Africa. 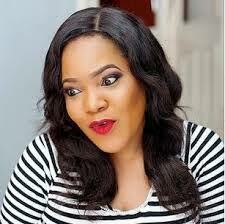 Her entertainment show Classic plus is one of the most watched show on NTA channel 5 Abuja. Every week she showcases young filmmakers and musicians who do not have money to showcase their works. through knowledge, with short short films on fundamental life issues and invite season guests to analyze the issue as its affects our everyday day life. The youth are also given opportunity to ask questions and make comments, due to the sensitive issues discussed during the program. This has helped many youth to come out of the street and attain their dreams. She has been nominated for best "TV Presenter of the Year" in the ELOY (Exquisite Ladies Awards 2016" scheduled for the 27th of November at Intercontinental Hotel Lagos. 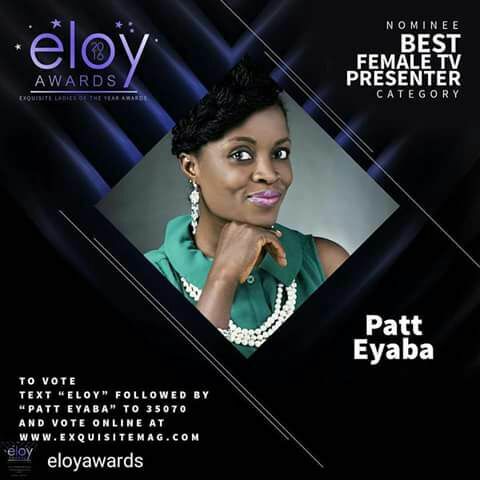 To vote for her text 'eloy' space 'patt Eyaba' to 35070 or log on to www.exquisitemag.com go to "tv presenter category" patt eyaba vote.